I had not realized it, but Burger Bistro, the create-your-own-burger restaurant I reviewed in Park Slope last year opened a new location in my own neighborhood of Astoria just this past December! As you may remember from my review, I thought Burger Bistro's veggie burger was just "okay". 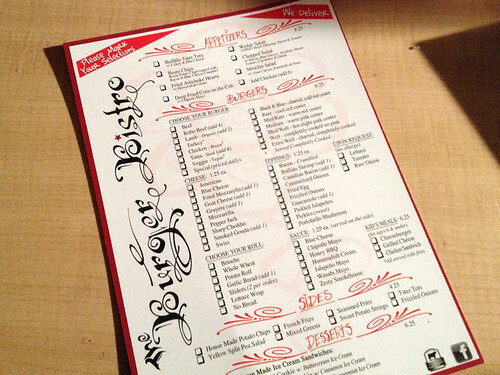 They do offer a lot of creative topping options though, so if that is your thing, it could be worth checking out. It will be interesting to see how Burger Bistro does in Astoria, a neighborhood where it feels like a new burger joint opens up every other month. This one is also just a few blocks away from the original Bare Burger location, so they're up against some serious competition (personally, I'd choose Bare Burger any day!). Has anyone eaten at this new location yet? What did you think? 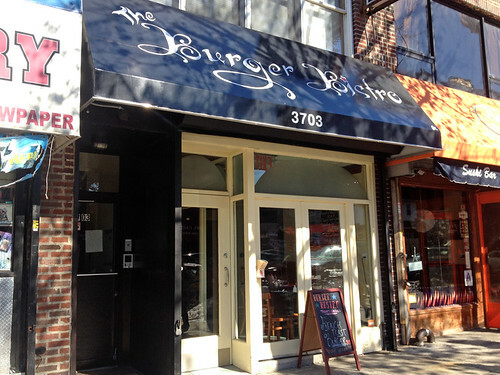 read my original review of the Park Slope location of Burger Bistro here.